An international summer camp offering quality language and sports camps for children aged 4 to 17. Come and discover a multitude of sports and activities for an unforgettable summer stay. For all students interested in public speaking, debating and model parliament. A well-rounded program open to all ability levels and interests, ages 10 - 17. Both day and overnight camp options available. A sport summer camp with more than 10 sports and camp activities, including multisport, flag football, soccer, and hockey. A summer camp that focuses on language training with an option for interactive sports in state of the art facilities at McGill University in downtown Montreal. French and English language camps at McGill University where kids engage in language learning, daily excursions and camp activities. Programmes divided by age - 7 to 10, 11 to 13 and 14 to 17 years old. Improve your technical skills and build confidence in your understanding of the game. Join us for Holiday Season, March Break, Summer or our weekly training programs! 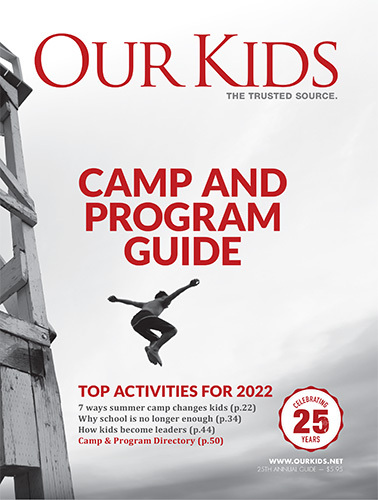 Camps in Montreal include a wide variety of orientations and specializations, including sports camps, arts camps, and education camps (including debate and social justice). Many families from out of the province send their children to camps in Montreal and the rest of Quebec for French immersion programs to help kids deepen their understanding of French language and usage. You can read more about Quebec camps for Fench immersion. These kinds of camps extend kids' learning throughout the summer and in terms of learning a language this is non-pareil in combining fun with learning. A number of Montreal camps listed here offer this and related programs. Since 1998, Our Kids Go to Camp has provided parents and Quebec camps a place to meet. Camps.ca is the new online home for Our Kids Go to Camp and we look forward to helping thousands of Canadian parents searching online.